Nourish your hair and nails from the inside out with our effective Nails and Hair Formula. These nail and hair supplements are ideal for supporting stronger feeling nails and healthy looking hair, with a potent blend of quality, natural ingredients. 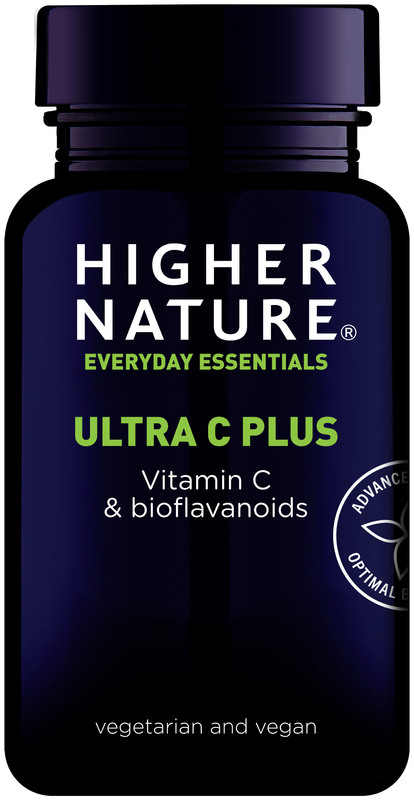 Each supplement contains a harmonious blend of vitamin C, MSM, zinc and biotin, which not only supports the maintenance of normal nails, but also contributes to healthy hair. 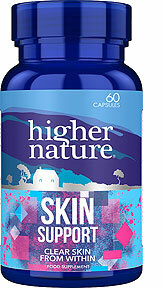 Take up to four capsules a day for optimal results. Have suffered with ultra fine hair and in 20 yrs have never found a supplement that works... these do! I take them for 3mths or so then have a break, my hair does suffer if I leave off them too long, but Im confident that they do the job every time. Have used on and off since Sep 2011 and feel confident and happy about my hair for 1st time in yrs. these vitamins are top of the market . my hair was falling out in excess due to extreme stress . thankfully these vitamins have given me new hair growth there are no words to describe how thrilled I am . a big thank you higher nature . Blessings to you all . After a sudden bereavement my hair fell out in large amounts. My nails were brittle too and one of them was splitting vertically. 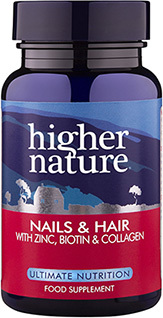 After taking this product for a few months, my nails are healthy and shiny but most of all my hair is growing again. What a relief!! 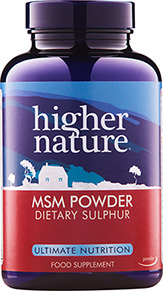 This product has helped my skin, hair and nails no end. Many thanks. Wonderful product. I was diagnosed with graves disease which means that I lost a lot of hair. After taking Nails & Hair for 1 month I could already see new hair growing around my hairline! 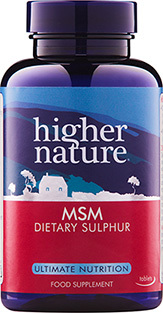 Higher Nature products are far superior than any of the high street supplements! I think the Nails & Hair is a superb formula. My hair is now totally different.